In Hear This, A.V. Club writers sing the praises of songs they know well—some inspired by a weekly theme and some not, but always songs worth hearing. This week: Songs about food. The Frogs were widely beloved by bands that sound nothing like them, from Smashing Pumpkins to Pearl Jam to Nirvana—maybe because the Milwaukee band had the freedom to be exactly as weird as they wanted to. 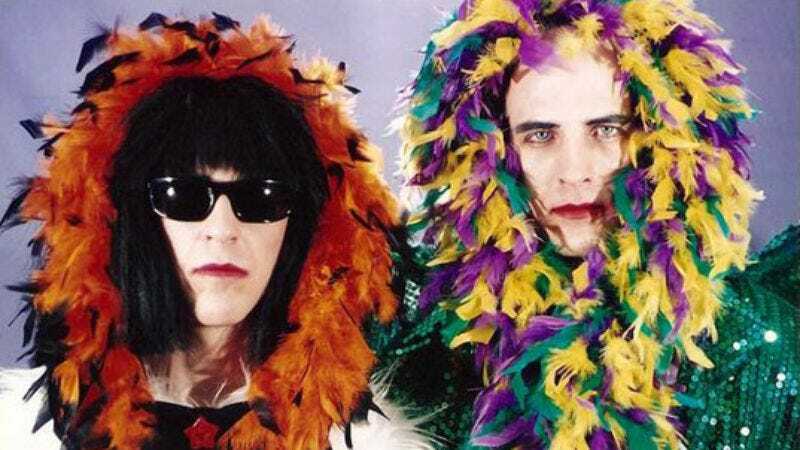 And the Flemion brothers—singer-guitarist Jimmy and singer-drummer Dennis—were never weirder than on their “Made-Up Songs” series, which were recorded in the ’80s and released on dubbed cassettes. (A fantastic compilation of material from those years was released by Matador as My Daughter The Broad in 1996.) The songs were literally made up on the spot; supposedly many of the takes that they released were in fact recordings of the songs being composed. Whether that’s true or not, these songs are still funny and remarkable, and none more so than “I’m Hungry,” which features Dennis doing his “old man” voice, backed by a mournful piano line. The singing and the lyrics are beyond ridiculous; it’s a grouchy old coot complaining about how hungry he is, and how it doesn’t matter what you’ve got—just give him something. It devolves into a tirade about how his nurse is poisoning him, and how his “throat is all bent up.” This is like explaining a joke. Just listen for yourself, and if a small part of you is tickled by exclamations like “Come on, where’s the meat! ?” then it’s time to dive into the band’s weird world. It’s bittersweet to listen to at the moment, since Dennis Flemion died in a swimming accident last year, and never made it to the point where he was the grouchy old man he often pretended to be. Wherever he is, he’s probably making people laugh (and/or making them uncomfortable).